Latin pop meets pop rock and R&B for a soulful experience into socially conscious subject matter. Fool's Paradise EP Produced by Michael Ramos at Brown Recluse Studio, Austin, TX. Mastered by Mark Hallman at The Congress House Studio, Austin, TX. All original compositions by Lesly Reynaga, except for Spanish Words by Charlie Sexton. Lesly Reynaga’s music is available for purchase at Waterloo Records in Austin, TX. 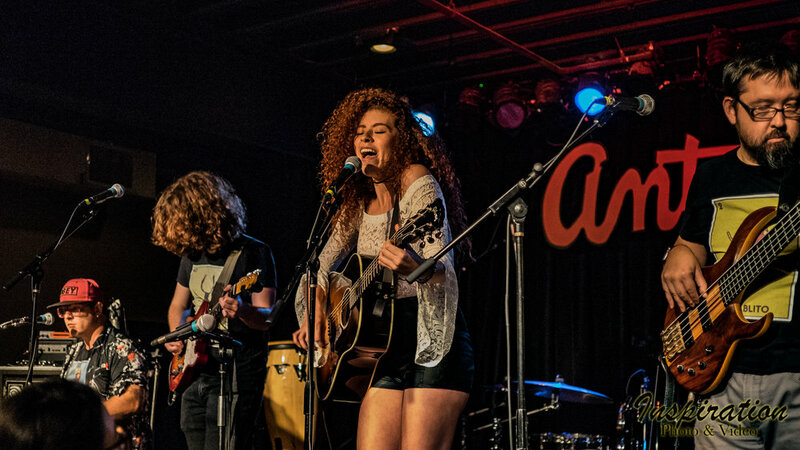 The Austin360 Artist of the Month (January 2019), Reynaga co-produced her release with renowned musicians and producers David Grissom, Michael Ramos, Graham Reynolds and AJ Vallejo. A highlight of the EP is two recordings with the involvement of Bell, one of her musical mentors. Born and raised in Monterrey, Mexico, Reynaga highlights stories on “Dual Passport” about her childhood and upbringing in Mexico, immigration issues, and her pride calling America home, having recently become a U.S. citizen. As the Chronicle remarks, “this cultural and lingual fusion powers her sophomore effort,” as “she struts with flair and pomp on ‘Heroina,’ scintillated with Selena-glam aplomb, each Spanish accent teased, firm but gentle and complemented by tropical acoustics. A serious student of contemporary pop stylings and socially conscious lyrics, Reynaga hopes to make a cultural impact of her own. Her lyrics on “Dual Passport” were carefully crafted to articulate some of her positions, allowing her to “dig deeper into the meaning of leading a life in two cultures and two languages, constantly balancing out both worlds and staying true to self,” Reynaga said. “The duality of the immigrant life is something to embrace, and that’s what ‘Dual Passport’ stands for. “‘Since the Moment He Was Mine’ grounds corporeal, masked with a stinging pain as doo-wop melodies ripple with tensile blossom,” writes The Austin Chronicle. The “radio-pop gem ‘All American Girl,’ reggaeton mystique ‘The Beast,’ and empowerment ballad ‘Flashbacks Come Home’” underscore Reynaga’s abilities as a burgeoning songwriter. Reynaga has been recognized as a voice of her Latino community, receiving the Award of Excellence for Emerging Artist from the City of Austin’s ESB-Mexican American Cultural Center. March 1, 2018 was celebrated as Lesly Reynaga Day in Austin, as proclaimed by Mayor Steve Adler. 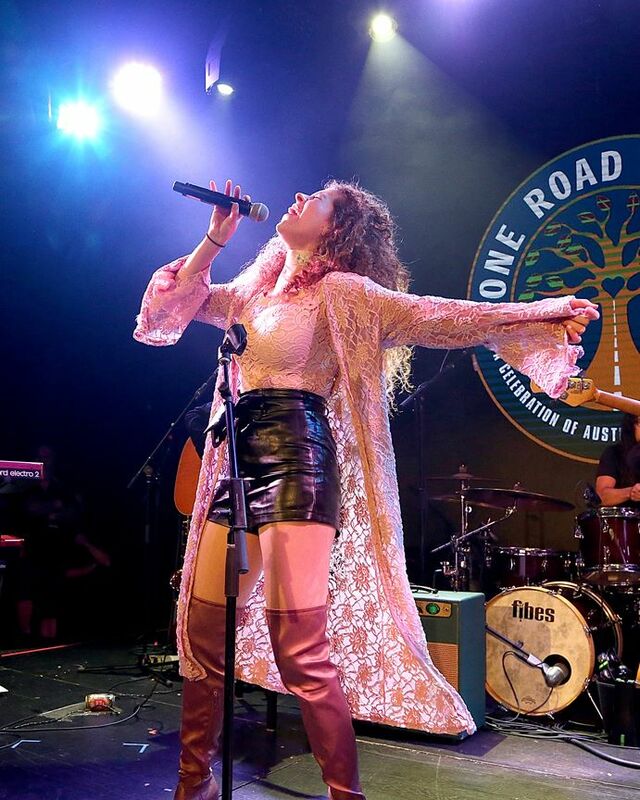 Her schedule has included collaborations with House of Songs, a live video session at the Clubhouse, live tapings at Austin360 and KUTX, and SXSW 2019 showcases. 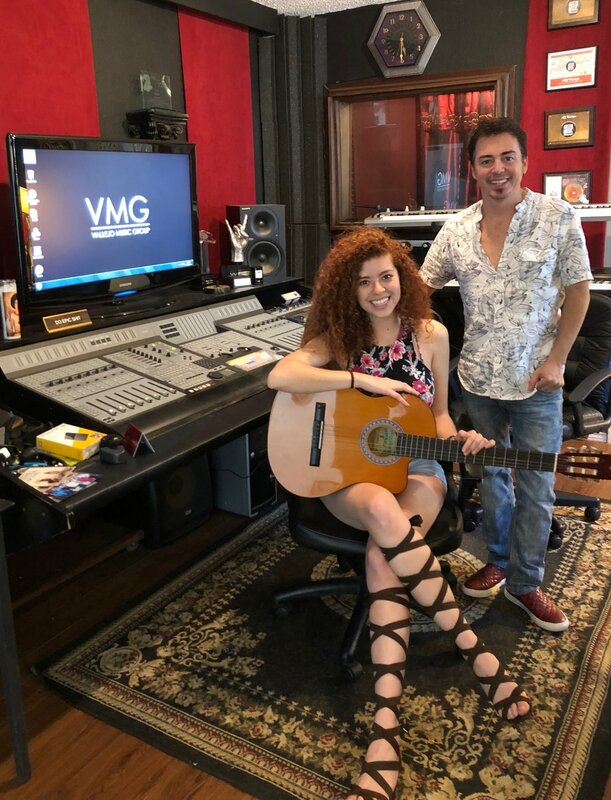 Noted for her passion-filled showmanship, which has captivated audiences from Dallas to New York City, an extraordinary vocal range, a bilingual song catalogue and as a multi-instrumentalist on guitar, vihuela and keyboards, Reynaga will make her first trek in 2019 to her native Mexico for live performances. “All American Girl,” the lead track from Lesly Reynaga’s sophomore EP, “Dual Passport,” is an open-eyed love song, dedicated to the fiery 27-year-old’s adopted homeland. Following up last year’s five-song “Fool’s Paradise,” Reynaga once again works with renowned producer Michael Ramos here but also brings local standouts AJ Vallejo and Graham Reynolds into the picture for a six-song disc that was recorded in four different studios… At 26, Reynaga has the potential to be an Austin breakout star. A New American Town presents part one of a two-part episode that dives into the growing music scene in Bentonville, AR. This podcast episode features musician Lesly Reynaga and House of Songs Founder Troy Campbell.